The Garden Plot: Win a Spring Indoor Gardening Kit from Longfield Gardens! Win a Spring Indoor Gardening Kit from Longfield Gardens! The trend of indoor gardening terrariums is going strong with no signs of slowing anytime soon. Terrariums are used in home décor, as centerpieces and gifts, but they can also be used to jump start a spring garden. Beginning March 17, bulb-lovers across the country may enter Longfield Garden’s Facebook contest, Terrarium Kit Giveaway, for a chance to win their own indoor spring garden kit. Two random winners will be drawn on Monday, March 24. 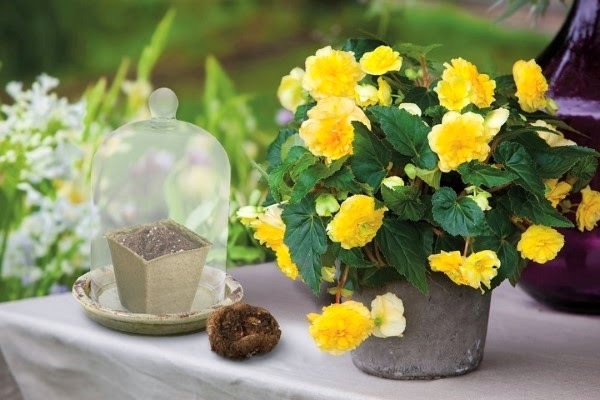 The winners will be able to get a jump start on the gardening season by starting the popular summer flower, begonias, indoors. To enter the contest, simply like Longfield Gardens on Facebook, then click to enter to win. On March 24, Longfield Gardens will randomly select one winner. In addition, Longfield is also offering its Facebook fans four chances to win a bag of their most popular varieties on their Facebook page. Simply follow Longfield Gardens on Facebook and look for daily questions about the Terrarium Kit Giveaway from March 17 through March 24. Falling in love with Longfield bulbs is easy—especially when it’s free. For a chance to win the indoor spring garden kit, like Longfield Gardens on Facebook, and click on the ‘contest tab’ to register.